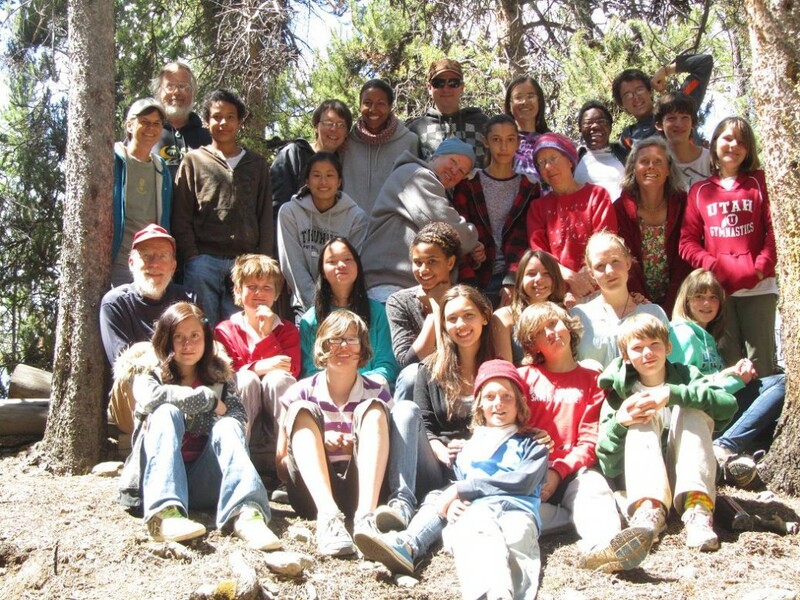 We are pleased to share Mountain Friends Camp’s 2013 Annual Report. Please read for information on our finances, letter from the camp director and feedback from campers and parents. A printed version with donor names was mailed to 2013 donors and camp families, if you would like a copy contact Ana. Our next stop after Flagstaff was the Durango area. On Wednesday afternoon we met up with Cortez Friend Linda R. for a tasty lunch, during which she shared some of the insights she has gained from several years of running a day camp in the area. Linda is hoping to free up her schedule to join us for a session this summer! We could tell what an asset she’ll be to Mountain Friends Camp from our long conversation about how to integrate more nature and ecology into our programming. 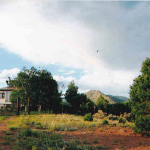 Although plans for a potluck and MFC presentation at the Durango meetinghouse that night fell through, the Telep family welcomed us into their home outside of Durango for the night. We cooked a meal and enjoyed good conversation and great music (of course!) before heading to bed. Many thanks for a restful stop! We left some brochures with them to share with the Durango Friends that we missed. The next morning we got back on the road, as we were trying to get to Salt Lake City by that evening. We stopped at Moab Friend Cynthia S.’ house to scarf down the lunch we’d packed and to chat about camp. Though the visit was short, it was a very pleasant one. 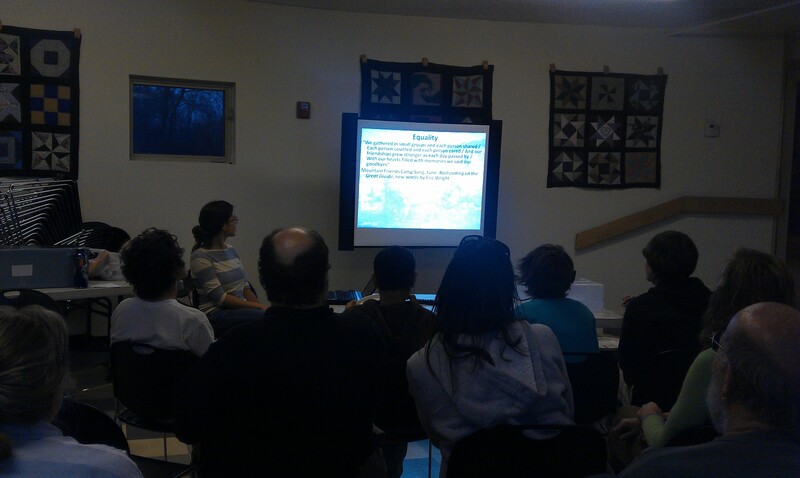 Cynthia updated us on Moab Meetings discussions about MFC and potential campers and staff from the community. Castle Valley, where Mountain Friends Camp was last year, is just outside of Moab– so of course we had to stop! The sight of the rusty canyon walls and the winding Colorado River brought back many happy memories as we made our way to the site of MFC ’11; so did the towering rock formations looming above the valley. The first thing we saw upon arriving at the house was the sign that Ariel and a camper painted last year; the next things we noticed were the rows of baby fruit trees swaying happily in the wind. The trees were planted in holes that the staff and campers of MFC labored over last summer–cracking that hard, red dirt was no easy task! But we managed to, and can see the results of all that sweat and love just a short time later. We snapped a few pictures to share, picked up some camp supplies that were left over from last year, and continued on our way to Salt Lake City, where we were hosted by the Box-Viavant family. Ana arose early Friday morning to attend a conference to which she won a full scholarship, the Utah Society of Fund Raisers “Fund Raising Day”. It was eyeopening and encouraging to interact with over a hundred professional fund raisers–and we’ve already started using some new outreach techniques for camp! The workshops and seminars lasted all day, and that evening we had dinner with our hosts and shared pictures of camp and ideas for the future of MFC. The next morning we had breakfast with Salt Lake Friend Charlene W., and then headed back home to Logan. The whirlwind three-week trip was over, with a grand total of 15 meetings visited, 8 potlucks held, 11 presentations given, over $3000 in pledged donations from four individuals and three Meetings, and many, many Friends reached. 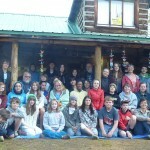 Thank you everyone for your hospitality and support of Mountain Friends Camp–we couldn’t have done it without you! 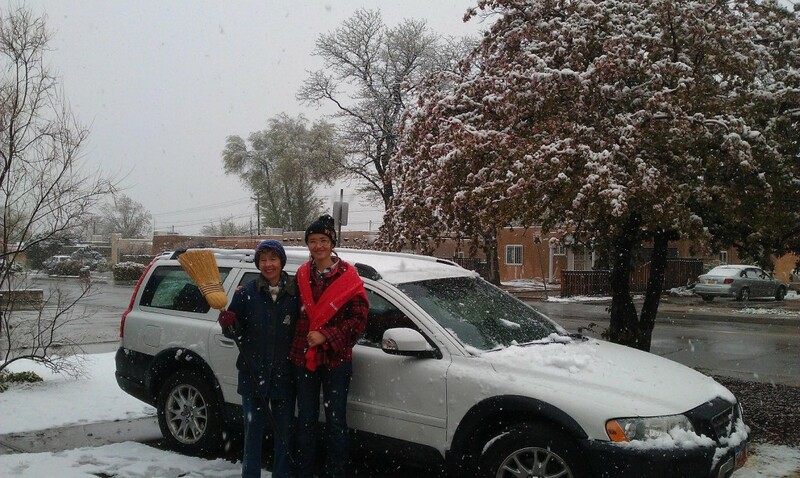 Tuesday April 3: We woke up to a snowy Albuquerque, said goodbye to Karen and headed down south to Las Cruces. 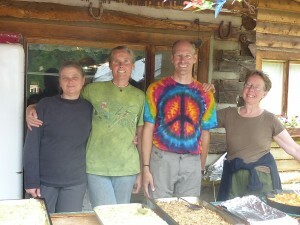 Several Friends were out of town, so our potluck was down to three people, but we were very glad for the chance to connect with Micki W and learn from her years of experience with Farm and Wilderness Quaker camps in Vermont. Micki encouraged Mountain Friends Camp to continue and reach out to more non-Quakers, and generously invited us to visit her at Farm and Wilderness in the future! Genevieve and Paul were excellent hosts that evening; we were glad to share their home and pecans from their own trees. Next up was Silver City, where Gila Friends Meeting had arranged an informal lunch meeting to share ideas about Mountain Friends Camp. We enjoyed a long conversation with Marion and Jamie N, and Harold J about our plans for camp, the support from Gila Friends, and how MFC and Monthly Meetings can protect the young people in our care. Harold shared insights gained from five summers working for the Baltimore Yearly Meeting Quaker summer camps; one particularly salient concept he shared concerned how, through mindful discussions and community bonding, the staff “recreate” the program and prepare to nurture and guide campers each summer. We look forward to further discussion with Harold and other Friends from other Quaker summer camps. Wednesday evening we stayed with Nancy, Jim and Milagre C and their sweet dog Coco. The fresh green salsa and tortilla chips were outstanding, as was the conversation and hospitality! We were pleasantly surprised when Milagre asked about coming to camp, as her summer was already fully booked, but we’ll be happy to have her as a counselor in training should she find a way to join us. Our visit in New Mexico drew to a close, and we pressed onward to Arizona. Tucson was alive with birds, blooming cacti, and of course more wonderful Quakers. Eileen H hosted us and is encouraging the Young Friends in Pima Meeting to consider coming to camp. On Friday evening we met with Pima Friends Jane K and Meredith for discussion and early dinner; later in the evening we shared slides and conversation with three Pima Friends at the Meetinghouse, one who took a brochure for her grandkids and one who felt led to give us a very generous donation. Thanks Pima Meeting! As at so many of our mid-week stops, we regretted not being able to join Friends at Meeting for Worship, but were glad to connect with a few and plant seeds of interest and involvement with our mission. April 7: Saturday saw us in Tempe dyeing Easter Eggs with two families from Tempe Meeting whose kids have been MFC campers since the very beginning. 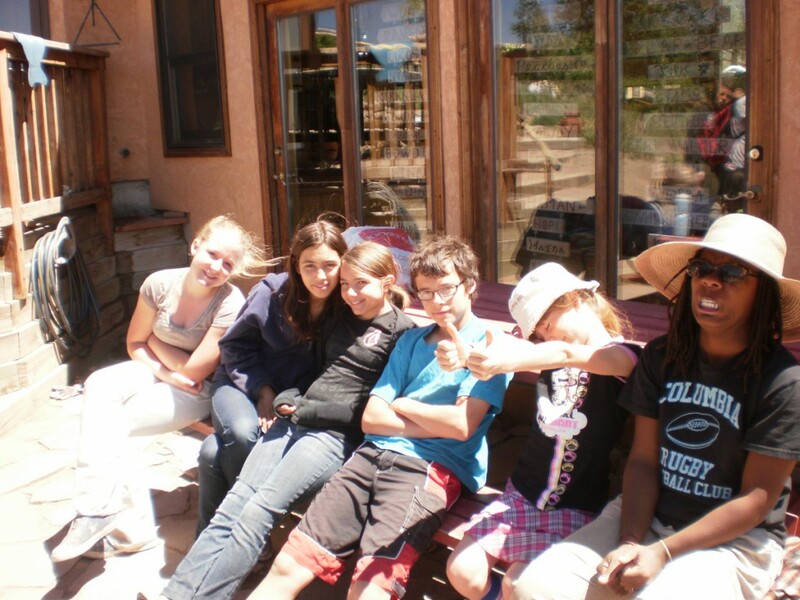 These same great campers and their friends at Tempe Meeting made plans to accompany Ana to Phoenix Friends Meeting on Sunday to share with their (much younger) youth group the Quaker fun that is Mountain Friends Camp. 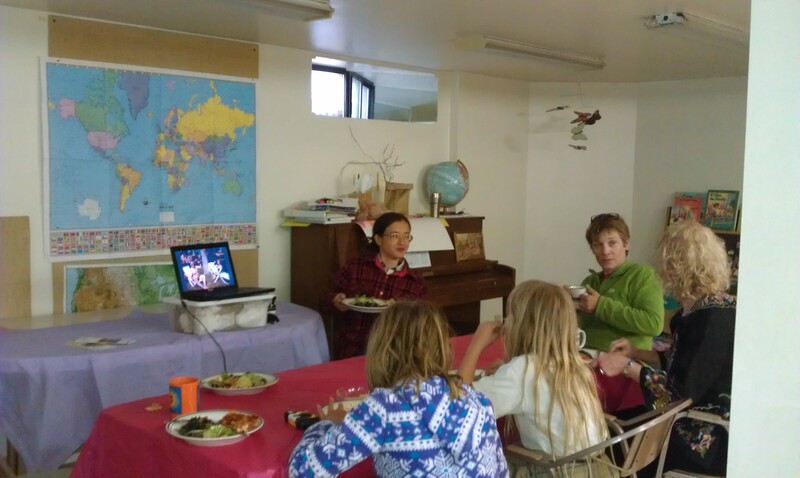 We enjoyed a great breakfast potluck, then joined the First Day group for an Easter story and discussion followed by our Mountain Friends Camp presentation. Thanks to Kim, Adrianna and Brianna for leading the discussion! After our talk the patient Phoenix kids (finally) got to search for eggs. 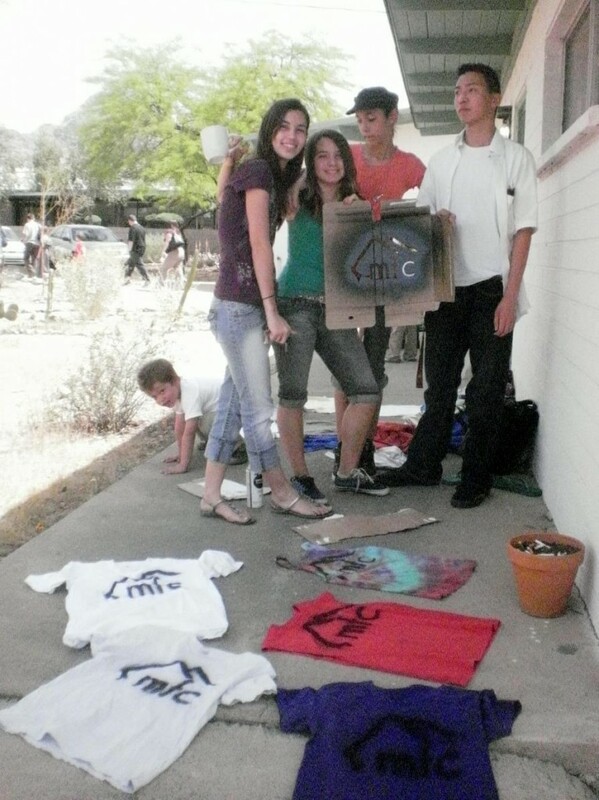 After meeting some stayed to spray paint “MFC” on t-shirts. Look for more opportunities to make or buy a MFC shirt at IMYM this June! Meanwhile, Ariel drove to Flagstaff on Saturday afternoon and arrived just in time to join hosts Kay and Ted B for a wonderful dinner and a trip to the annual Recycled Art Festival! The next morning she joined Flagstaff Friends for Meeting for Worship and a potluck; after the potluck, Flagstaff Meeting was treated to the MFC slideshow. Flagstaff Friends had decided to give a substantial donation to Mountain Friends Camp, and after the slideshow Clerk Steve F took the opportunity to present Ariel with the donation. It was quite the photo op—too bad no one had a camera! Ana caught a ride with Vickey F to Flagstaff later that afternoon, and we went on a hike with Steve, and more Flagstaff Friends Pam and Jim. Vickey and Steve hosted us that night and showered us in warmth and hospitality and pro golf on tv! scheduled, we still had a Quaker-iffic Tuesday! We headed to Boulder to return the projection equipment that we’d used the night before, and the Chataqua wilderness beckoned so we decided to go on a hike as well. Tromping down the trail, we exchanged “hellos” with a few passersby, only to realize that we’d run into IMYM YAF Patricia M! We stopped to chat and catch up, then hurried on our way as we had a few stops to make. We swung by Julia H.’s house in Boulder to talk MFC for a while, then hurried back to the Ireland’s abode where IMYM SYF Damon M-S was meeting us for dinner. We quickly readied a great meal, ate, and talked long into the night. Wednesday morning we headed into Denver to visit with YAF Sarah T. before continuing on our way to Colorado Springs. A local camper and his family had arranged for a dinner and MFC presentation that evening to be hosted by a potential new camper and her family! The cozy event was fun and informative for all; after a tasty dinner, we showed the slideshow and answered questions about camp. Many thanks to Quetzal and John G. for putting the event together, and for hosting us in Pueblo! Thursday was a slow day, which Ana used to catch up on a plethora of camp emails, but on Friday we started back out on the road with engines roaring. Our first stop was the Pueblo Nature and Raptor Center, where all three of our hosts were spending the day. We caught most of an up-close and personal presentation featuring several of the birds, and then received a behind the scenes tour of the grounds and facilities led by Quetzal himself. Brimming with new found ornithological knowledge, we said goodbye to the birds and Pueblo and started off for Santa Fe. We arrived later than we meant to, due to a “shortcut” that ended up adding hours to the drive, but were nonetheless right on time for supper with Beverly and Heather, two potential staffers for MFC ’12. We had a great conversation about camp, and hope that they choose to share their talents and skills with us this summer! It was dark when we finally found our home in Santa Fe, Anna and MFC camper Ceryn’s house, but even so they welcomed us with bright smiles. Anna and Ceryn showed us around the next day, and we spent some time preparing for our next visits. On Sunday Ana headed to Albuquerque while Ariel returned to Santa Fe Meeting for worship, followed by a potluck and MFC presentation. 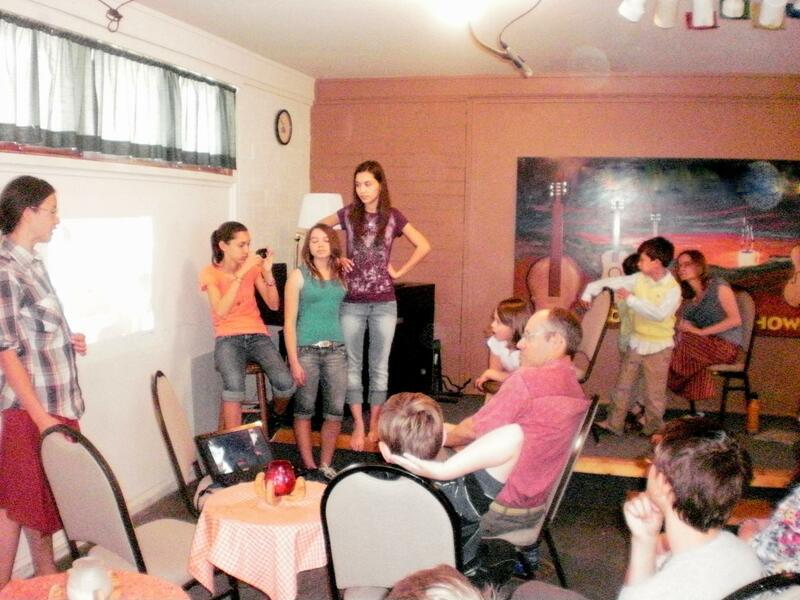 After chowing down on a variety of dishes, Ariel and Ceryn set up the slideshow and made the presentation to a group of about a dozen people. Santa Fe Friends were curious about camp and very supportive. It was nice for Ariel to catch up with the meeting after a year, too, and to report good things about camp last summer and the progress we’re making towards this summer. Although no other younger friends were in attendance at the presentation, it was received very well and we hope to see more Santa Fe Friends at camp this summer! Meanwhile, Ana enjoyed worship and fellowship with a large gathering of Friends, including many who were visiting Albuquerque for the White Privilege Conference. The number and spirit of young children in the Albuquerque First Day program was wonderful to see, and Ana was happy to hear from several parents that they hope Mountain Friends Camp is available for their children 5-10 years from now! Kara R, the clerk and our gracious host in Albuquerque, invited Ana to give a brief report during Meeting for Worship for Business, and encouraged Friends to join our MFC potluck Monday evening and the Albuquerque discussion of MFC queries on April 27th. After business meeting, and more fellowship, Ana and Karen hiked at a lovely nature park. That evening Ana joined a dinner party and concert at the home of another new Albuquerque Friend and MFC liaison, Hamish T, joined the April MFC committee conference call and met Ariel at the Rail Runner Station. Although we received notice from several Friends who were regretfully unable to attend, the Monday evening potluck brought together six adults and two potential campers for a great meal, conversation, slideshow and a few games. Questions ranged from what “plork” projects we’d do this summer, to our Quaker identity as we welcome non-Quakers to participate, to our budget and plans for future IMYM support and fund raising. Thank you Colorado Springs, Santa Fe and Albuquerque for your friendship and support! 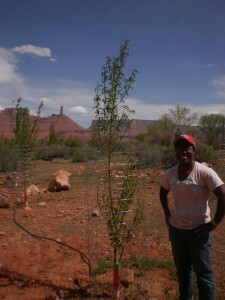 Next up on the Quaker Road: Las Cruces, Gila and Pima Meetings . . .